Ok ladies,if your eyebrows resemble to any of the first three pictures shown here, than we need to talk! Seriously! 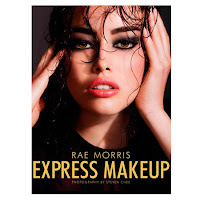 Ever since I have read The Makeup Guide and Express Makeup by Rae Morris, I was obsessed with finding my perfect brow shape. And trust me, the brow shape really matters and it can make a huge difference to your look. 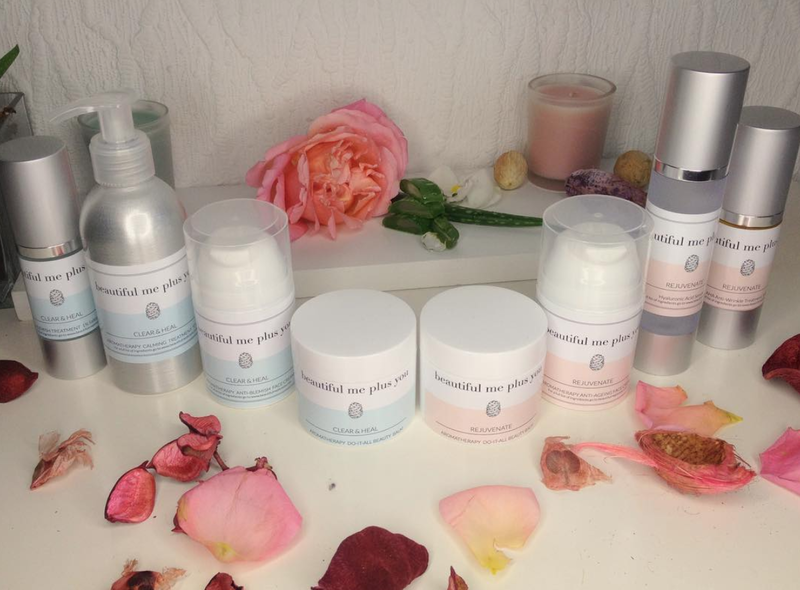 You can even reshape your face shape, make the nose appear smaller and the eyes less puffy. The most important thing to remember is to follow your natural shape as this is usually the perfect brow for your face shape. Thin and rounded eyebrows:The rounded shape creates puffy and droopy lids. This is the number one brow shape to immediately add years to your face. There is too much space between lash-line & brows.So keep it straight to give the illusion of a thinner face. Over arched eyebrows or the so called ever surprised look: Don’t go overboard with your arch, according to Rae Morris a straighter brow is more youthful and more sophisticated. An over arched brow creates a puffy eyelid and lots of saggy space above your eye that instantly ages you about ten years! So basically the less you arch your brows, the younger you'll look﻿. This is a typical eyebrow shape that is usually thought in most beauty schools, which is not wrong, but if you want to make most of your looks, have a look below just to see how a perfect shape can make a difference. This is the perfect brow shape according make-up artist Rae Morris. Eyebrow has an arch that cuts through the brow bone, narrows and straightens your nose and lifts your eyes. Also note that the arch isn't in the centre of the brow-it is very off centre, making the eye longer, sexier and with no "surprised" look! 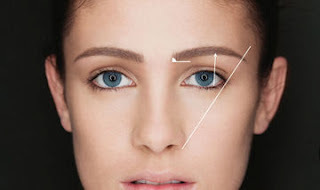 If you want the illusion of a thinner nose, start your brow at your desired nose bridge width .The further apart your brows, the wider your nose looks. The perfect colour for your eyebrows? Blondes should go one or two shades darker to define their brows. Dark blondes can go to a light brown. Everyone else should match their natural colour. Use an angled makeup brush to apply an eyeshadow that matches your hair colour to fill in and shape your brows. If your brows are over plucked and you can’t remember your natural shape, then check back on your childhood or old school photos to find your natural brow shape. Let them grow out completely and find a an good makeup artist to reshape them. 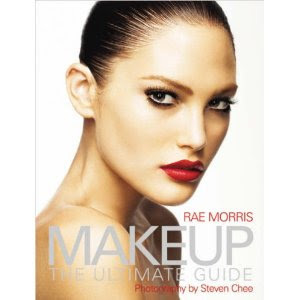 For more tips and tricks on perfect brows have a look at Rae Morris books, Makeup The Ultimate Guide and Express Makeup. I highly can recommend them both. So tell me ladies, what do your brows look like? Do you pay any attention to your brow shape at all? What a great posting - very helpful! Thanks for this post! It is great! Angelina has perfect eyebrows. Brows are always my weakness so I found this super helpful. Thank you!! I tend to keep my natural shape. I have overplucked in the past and made them to thin, so now I'm always careful not to do that. the super thin eyebrows just look awful. Luckily my mom taught me how to pluck my eyebrows so I never over plucked them. I sure hope my brows are as bad as some of the pics :( I have never had mine professionally shaped and probably should. Even when using the suggested tips, I still have a hard time getting the shape right. Thanks for the reminders! I always try to work hard on my eyebrows. Lately I'm so engrossed with it. Hi Marina, this post has great timing as I just started to re grow my brows. 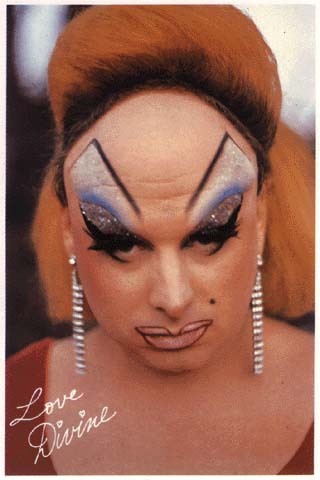 I'm guilty of the Pamela look...over plucked! I always used a pencil to fill in my brows and recently started using eyeshadow to shade them in love it! I dont know why it took me so long to do this. great post!